Like all Leeds United fans, and the wider football community as a whole, it was with great shock and sadness that I received news of Gary Speed’s death earlier today. 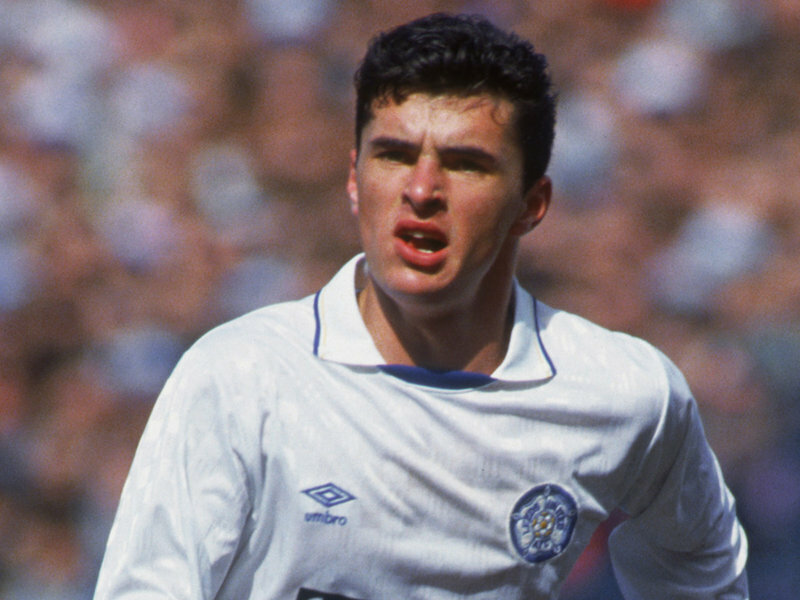 A fans favourite at Elland Road, Gary Speed will always be remembered as a club legend for the invaluable contribution he made towards the 1989/90 Championship and 1991/92 Premier League winning Leeds United side. Former Leeds United manager Howard Wilkinson; “The players I worked with represented all colours of the rainbow in terms of character but in Gary’s case he was a star in the true sense. For him – at 42 – to leave us is such a tragic loss. “It’s unbelievable, I’m still struggling to get my head around it. I’ve known Gary since 1988 when I joined Leeds and I’ve rarely come across a better balanced, lovely, genuine person. “He was a terrific player – not as gifted as some but he made the most of everything he had – worst of all for me I knew his parents, in particular his dad, his lovely wife and family – I just find it very very difficult to come to terms with it. “I cannot start to try and understand what his family are going through at this time. Statement from Newcastle United; “The board, manager, staff and players of Newcastle United FC are today deeply saddened to learn of the tragic death of Gary Speed. “Gary was an inspirational and much-loved player at Newcastle United during his time with the club from 1998 to 2004, making 285 appearances and scoring 40 goals. 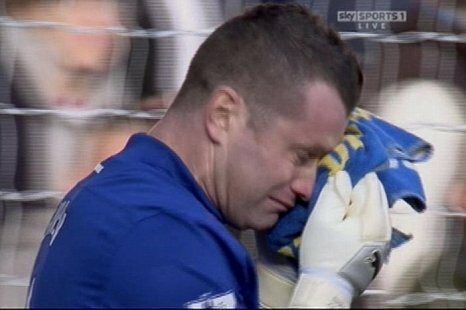 Elsewhere, a genuinely heartfelt tribute from Robbie Savage summed up the mood, as close friend Shay Given struggled to fight back tears at The Liberty Stadium. The above is just the tip of the iceberg. Tributes are pouring in by the minute to a model professional whose success was based upon the extraordinary amount of effort he put in to maintaining an incredibly high level of fitness. The sheer abundance of tributes stands testament to how universally well liked Gary was, and how devastated people are by the news. I’m sure I speak on behalf of Leeds United fans everywhere when I say my deepest sympathies are with his friends and family tonight. Whilst it may be small comfort at this moment in time, I hope Gary’s family know just how much joy his career brought to so many. On a personal level, I was still a youngster when Gary was making a name for himself at Elland Road and he was someone I truly idolised. Gary was the perfect role model for my generation, the greatest example of how far hard work can take you. There’s no denying he had natural talent, but it was the hard work he put in to nurturing that talent that made him stand out from the crowd. In death, Gary Speed will be remembered as a Leeds United legend, his name forever associated with only the greatest players this club has produced, and that’s nothing less than he deserves. One of the greatest, most hard-working players I’ve ever had the privilege of seeing personally, whose contribution to our football club will never be forgotten. RIP Gary. Marching On Forever.